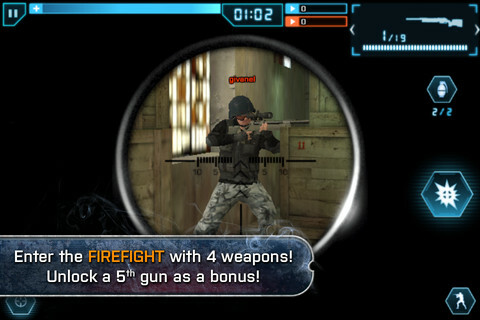 Today EA released a free Battlefield 3 game for the iPod Touch, iPhone and iPad. 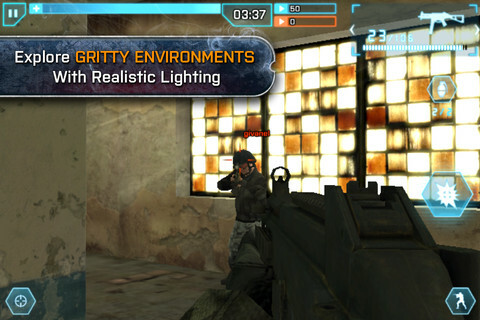 Battlefield 3: Aftershock is a first-person shooter that also serves as a promotion for the upcoming film Act of Valor. 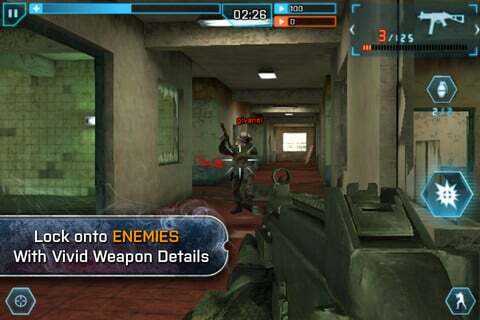 Aftershock arms players with four weapons and allows them to fight it out in multiplayer team-based battles. You can unlock a fifth weapon by watching a trailer for Valor within the game. 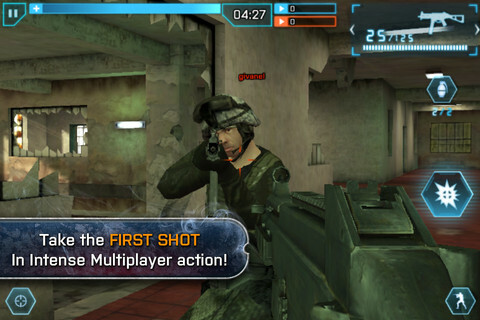 Ads for the film are embedded throughout the game's menus, too - guess that's how EA is recouping their investment. In Act of Valor, a team of Navy SEALS must rescue a CIA officer and prevent a terrorist attack on the United States. They'll travel to far-flung locations like Chechnya, Somalia and the Philippines on this urgent missions. The film is said to be inspired by true events. What's more, many of the cast members are played by real SEALS. 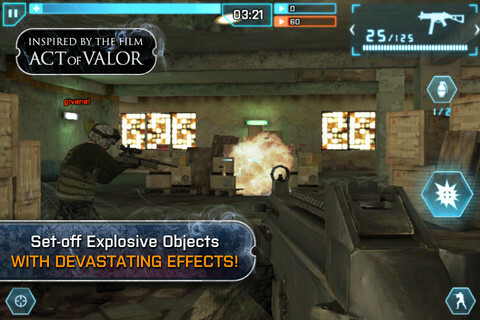 This is the second big cross-promotion between Valor and BF3. You can also earn exclusive dog-tags for the console and PC versions of Battlefield 3 by watching a trailer for the movie. These dog tags have been yours for the taking since November. Presumably that offer will expire once the film hits theaters on February 17th. Screenshots for Aftershock are below. You can download the game for free through the App Store.